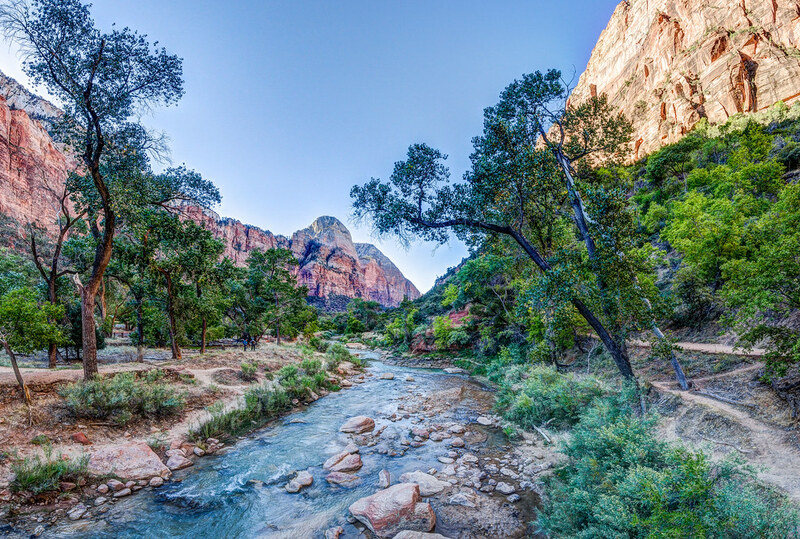 Zion National Park was settled and named by Mormons in the 1860s. It was originally inhabited by Paiute and Anasazi indians. We found an excellent B&B in Springdale very close to the park entrance. Our room had a deck with stunning views of The Watchman at sunset. Our morning hike took us up to the Emeral Pools and then eastward to the Virgin River and then the Lodge. Our afternoon was spent sitting along the river at Big Bend, then off to hike the Riverside Walk and wade up the Narrows a bit. The following morning we headed to Kolob Canyon on west side of the park on our way to Cedar Breaks and Bryce.